This past December 1st, I made the big 3-0! Despite me not really feeling any different from 29, I was still freaking out about it. Thankfully, this unnecessary panic attack didn’t last long. When I reached 20 and then 25, I was a bit bummed at how my life was going. I just felt like I wasn’t making any big accomplishments fast enough (like my peers seemed to be). Well, I am well beyond that mind-set. I guess that’s really what being in your thirties is all about! 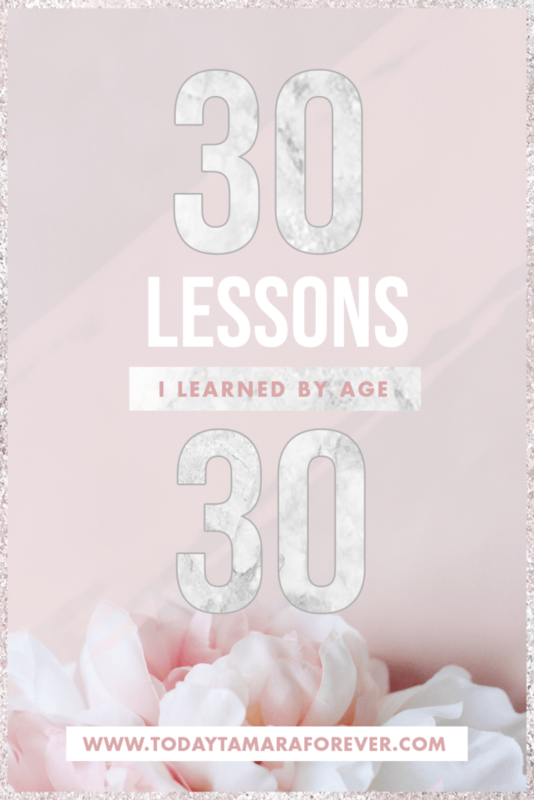 So, here are the 30 Lessons I Learned By Age 30! #1 Just Say “No” – Saying no for your own mental and physical health is never something to feel bad about. If you can’t do something (or it’s not a good decision) then just say No! #2 You Can’t Be Everything For Everybody – You care about people’s feelings.. I get it, but have you stopped to consider your own? #3 Be Honest – It is too late in the game to tell white lies; they will get you no where (but in trouble!) Above all, be honest with yourself. #3 Money Management; Do That! – By now, life is about to get really real..and expensive! Learn to manage your money so you won’t regret it later. #4 Have Goals & Make Plans – If you haven’t started this lesson by now, age thirty is a good place to start. Life passes by so quickly; make yourself proud at least once! #5 Motivate Yourself – Life can be a struggle, yet your perception of those struggles makes the difference. Learn to be your own cheerleader! #6 Self Care Is A Must Now – Seriously. Adopt a routine of taking time out for yourself to unwind and decompress from the hustle of every day life. You need to recharge. 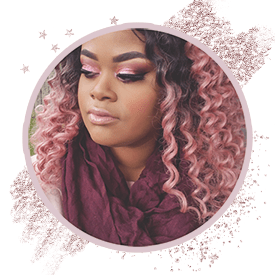 #7 Set Boundaries; Stick To Them – wether this means financial budgeting, dietary needs or getting over past friends/ romantic relationships, set boundaries for yourself so you can excel in other areas of life. #8 Have An Attitude of Gratitude – There is so much in life to be thankful for, take time to count your blessings (after all, it could always be worse). #9 Make Time – You’re busy. I get it, but always make time for the important people in your life. They (or you!) won’t always be around or guaranteed to see another day. #10 Don’t Take Everything So Seriously – We are in the age where people are easily offended. If that’s you, don’ take everything so seriously! #11 Learn Something New! – Broaden your skills or gain new ones, you never know how far they can take you. #12 Do It Afraid – New things can be scary. Don’t let fear stop you from living your best life and accomplishing your next goal. #13 The Formula To Success is Actually Failure – Failure Is Inevitable. Perfection is an illusion, you cannot progress and excel forward without a few set backs to learn from. Process it and move forward. #14 Stop Comparing Yourself – Everyone’s journey is different. We all run at our own pace. The only person you have to be better than, is your previous self. #15 Don’t Be So Judgemental – This counts for yourself and of others! #17 Read and Write – I’m not just talking about reading the comic section of the newspaper or writing your grocery list. Exercise your mind and unplug from technology. Read an interesting book (instead of watching the movie) or write an old friend an actual letter. It’s sure to be appreciated. #18 Adventure – You can gain inspiration just by visiting somewhere new in your home state. Do that! #19 Take The Compliment – You are your own worst critic, but when someone genuinely gives you a compliment; don’t dismiss it, take it! #20 There’s Nothing Wrong With Less Makeup – or more, if you don’t wear any and want to try. Being “natural” can only be defined by YOU. #22 Play – Play, in whatever form you prefer, helps free the mind, spirit and get your energy flowing! #23 Be Aware – The world around us is changing in drastic ways, both good and bad, be aware of world events. #24 Forgive – We have all heard the saying that forgiveness isn’t for the other person, it’s for you..Guess what? It’s true. #25 Live and Let Go – Some things, we just can’t do anything about. A past wrong done to us; a missed opportunity. All you can do, is live, look forward to the future and let go of what doesn’t serve you. #26 Wear Something Bold – Boost your confidence and try a new wardrobe style for a change of pace. You never know; you may love it! Life is short; wear the dress. #27 Some Risks Are Worth Taking – Ask out that guy you have a crush on, make a solid stance to your employer on your much needed (and well deserved raise). Take a risk! #28 No Two Days Are The Same – So you had a bad day? Don’t harp on it and carry it into tomorrow. Push forward. #29 Practice Good Habits – Starting anything that’s good for you can be tough. Take a small step day-by-day and accomplish those goals. #30 Look Positively To The Future – because with age, comes knowledge and knowledge is a powerful thing to shape your future the way you want it to be! That completes my thirty lessons! I am looking forward to the years ahead and seeing life unfold for me. What lessons have you learned since your last birthday?